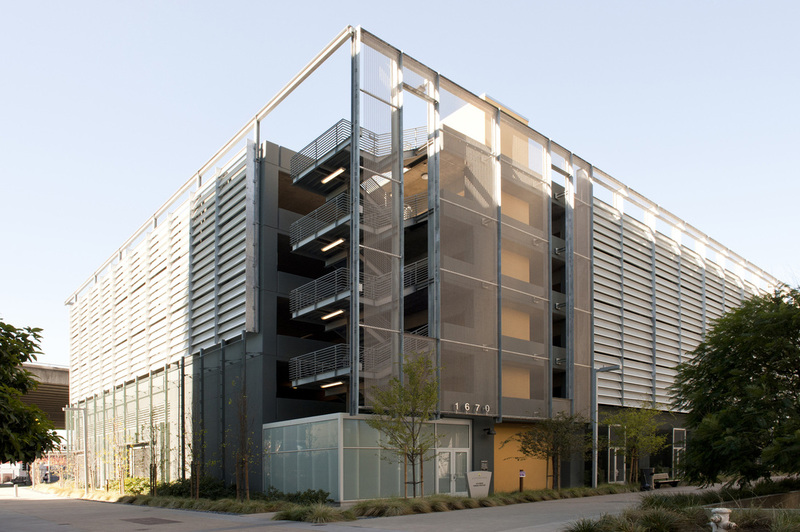 Alexandria Parking Structure | Cary Kopczynski & Company, Inc. 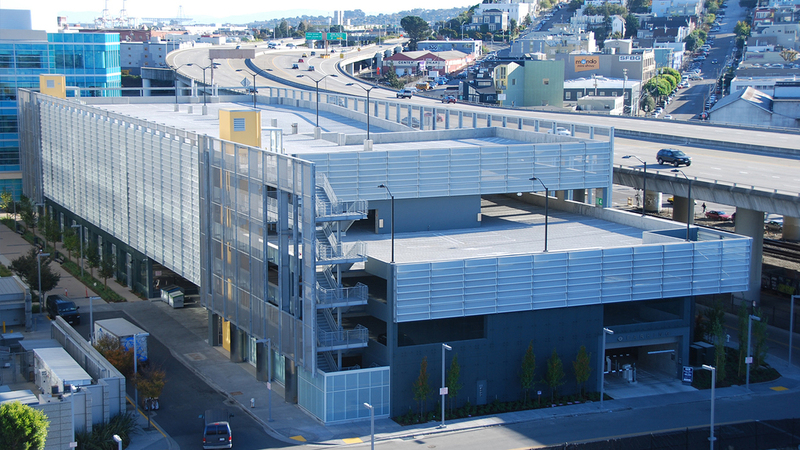 Located in San Francisco's Mission Bay neighborhood, Alexandria Parking Structure contains six levels of parking for over 800 vehicles and 40 bicycles. 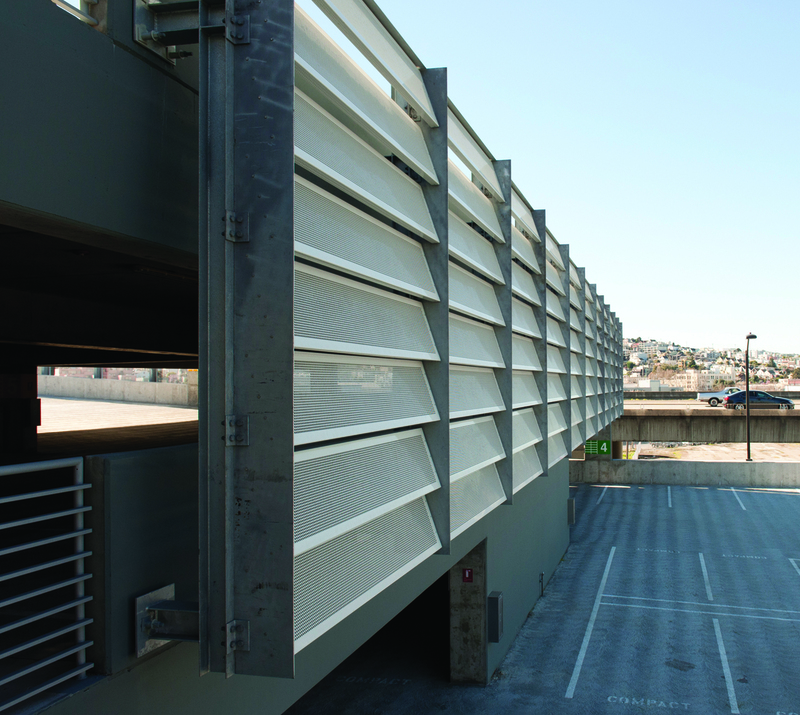 Metal mesh blankets the building, screening the view of cars from the freeway and Potrero Hill. The landscaped green screen along lower levels contributes to a pedestrian-friendly streetscape. The location of the 250,000 square foot structure presented challenging design criteria due to very poor soil conditions and high seismicity. With local soils prone to liquefaction, the parking facility required a deep foundation system consisting of auger pressure-grouted displacement piles. Additionally, the slab-on-grade was designed as a two-way flat plate spanning between pile caps to allow sub-grade settlement without slab damage. 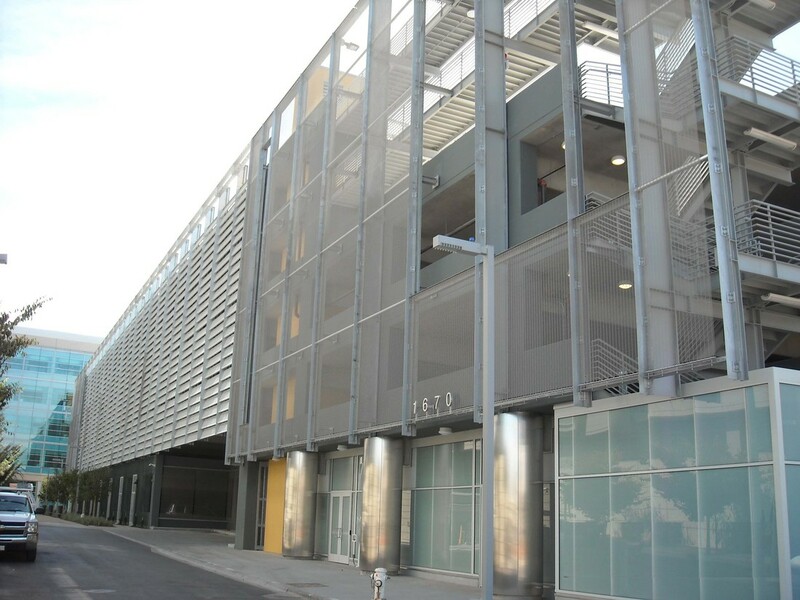 The Alexandria Parking Structure exceeded the expectations of all concerned. The use of a post-tensioned concrete beam and slab system was a key to that achievement. The project successfully met the design and construction challenges unique to its site.